Today would have been my brother’s 41st birthday. He was a Halloween baby. All of the “firsts” since his passing have been pretty tough on everyone. I know today will be really hard for my family, and if you get just a minute, I would really appreciate if you could join me in lifting them up. I am praying specifically for my mom and dad, my sister-in-law Ragan and the 4 kids (Trey, Madison, Carsyn, & Presley), and my two sisters (Tammie & Stephanie). I feel such a peace that I know comes from the Lord, so please help me pray for peace and comfort for them today especially. We all love and miss my Michael so very much. Have a SAFE & happy Halloween, everyone! Pictures of the CUTEST little dinosaur you’ve ever seen coming soon!! P.S. Go find a dentist who buys back the candy to send to the troops. Shew wee! I am so guilty of this one myself so I wanted to share a few thoughts. So many times I focus on the WRONG things and I end up with the wrong conclusions and the wrong results. How about you? I don’t know many people who don’t want to improve their life in SOME way. Hopefully we are all striving to grow into the best version of ourselves, but so many times we are limited by choosing to focus on the wrong things. And it’s not always intentional. Sometimes we don’t even realize we are doing it! Here are a few examples that have popped up or personal experiences where I have focused on the wrong things. *FLAWS in OTHERS. Matthew 7:3 says “Why do you look at the speck of sawdust in your brother's eye and pay no attention to the plank in your own eye?” Why in the world are we so busy picking apart others when we all have our own junk we need to be focusing on? We are wasting so much of our time focusing on others’ shortcomings & choices. (Really, what does it accomplish? Nothing.) What if we spent that time focusing on their strengths & speaking life over them, and getting the plank out of our own eye? We should be so focused on improving ourselves and helping others that we don’t have time to judge or gossip. The Top 10 Distinctions Between Millionaires and the Middle Class says that “Millionaires talk about ideas. The middle class talks about things and other people.” Are you more focused on what others are doing or not doing and the choices they are making than your own life? Are you busy talking about other people when you could be ministering to them or talking about ideas instead? If you’re focused on the flaws of others, you are focusing on the wrong thing. *PROBLEMS. Goodness gracious, we’ve all got em. And they are REAL. I am not discounting that life can be tough. It can hurt. Nobody “likes” the valleys & the trials. (Not anyone I know, anyway. Definitely not me.) BUT, we still have choice. We can CHOOSE to focus on our blessings more than our problems. I understand that sometimes we have to devote time to finding a solution, but we can still choose to remain grateful, thankful, and positive even through the storms. We have so many BLESSINGS in our lives, and what we focus on increases. (Don’t believe me? Try it for a week.) 1 Thessalonians 5:18 says “Give thanks in all circumstances; for this is God's will for you in Christ Jesus.” If you’re more focused on your problems than your blessings, you’re focused on the wrong thing. *HOW FAR YOU HAVE LEFT TO GO. So many times we focus on how far we have to go and it becomes overwhelming. I love long-term thinking, planning, and goals, but I also know that we have to create daily action steps that will help get us there. Set shorter-term goals as well, celebrate small wins, and be thankful for how far you’ve come. It is a JOURNEY. We live in a microwave generation where we want results immediately. I have seen people QUIT over and over before achieving what they said they wanted to achieve (most likely because it didn’t happen as quickly as they wanted). The real key is to KEEP MOVING in the right direction! If you’re not focusing on the journey; the baby steps and daily actions to achieve your goals, you’re focusing on the wrong thing. *”I CAN’T GO TO CHURCH BECAUSE THERE ARE TOO MANY HYPOCRITES.” It makes me so sad to hear people say things like this. Christians are not perfect and don’t have it all together. Shoot, I mess up all the time! And that’s exactly the point. I go to church because I desire the teaching, the accountability, and the encouragement. I need to be uplifted and a couple hours away from the world to worship and pray and study the Word. I can assure you that I am TRYING to be more like Christ, even if I am struggling and to you it might seem like I’m a “hypocrite.” (My flesh causes me to fail. 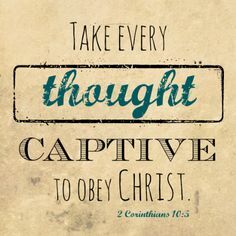 That’s why Romans 12:2 encourages us to “Renew our mind daily.”) No, I don’t know a single Christian who doesn’t mess up…and yes, maybe some of us do act “holier than thou” sometimes when we shouldn’t. But, if that’s keeping you out of church, again, you are focusing on the WRONG thing. 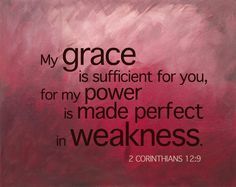 I know I want grace from others when I mess up, so that means I have to freely give it. It doesn’t stop there. Some people stop going to church because they don’t like the music or the preaching style or the dress or the kids’ program. If it’s any of those things keeping you out of church, you could be focusing on the wrong thing. So very true, but so hard not to do. We compare so many aspects of our lives, and that results in either jealousy, insecurity, or pride. None of those are pleasing in the sight of the Lord. We have made an intentional effort to focus more on improving ourselves and stop comparing our lives (in any arena) to others. If we notice someone has something we want (a long, fruitful marriage, or grown children who are the type of kids we want to raise), then we seek mentorship. We ask questions and try to do what they do. But we do not sit around coming up with reasons we don’t have what they have, or reasons why they do. That is the wrong focus & won’t get you any closer to your goals. I definitely struggled with this more in high school (particularly with body image)and college (my pitching abilities) than I do now. Maybe that is a part of maturing? You learn to be more content (Hebrews 13:5). What I know is this: If you’re comparing yourself to others, you are focusing on the wrong thing. *REASONS WHY YOU CAN’T. Many times, a reason why you can’t is a reason why you should. I often hear people say things like “Why can’t I …” and you can fill in the blank with lots of variables (lose weight, get out of debt, get more people involved with my ministry, have a better relationship with so & so, etc.). This tends to lead to excuses rather than results. A better question would be…”How can I?” It’s a simple switch, and asking a better question will lead to better results. Asking the wrong question will lead to undesirable results. If you are focusing on reasons you CAN’T accomplish something, you are focusing on the wrong thing. *WORRYING WHAT OTHERS THINK. There are so many layers to this, but I have noticed that so many of us make choices based on the opinions of others. AdvoCare is another example. Some people thought we were crazy for putting “all of our eggs in our AdvoCare basket.” That I was crazy for walking away from a steady income and “good insurance.” If we had listened to the naysayers, we wouldn’t be a full-time family right now. I might would have missed some precious moments with my sweet Jase. If you are more focused on what others think rather than what the Lord thinks, you are focusing on the wrong thing. I know changing my focus and thinking in many areas has completely changed my perspective. 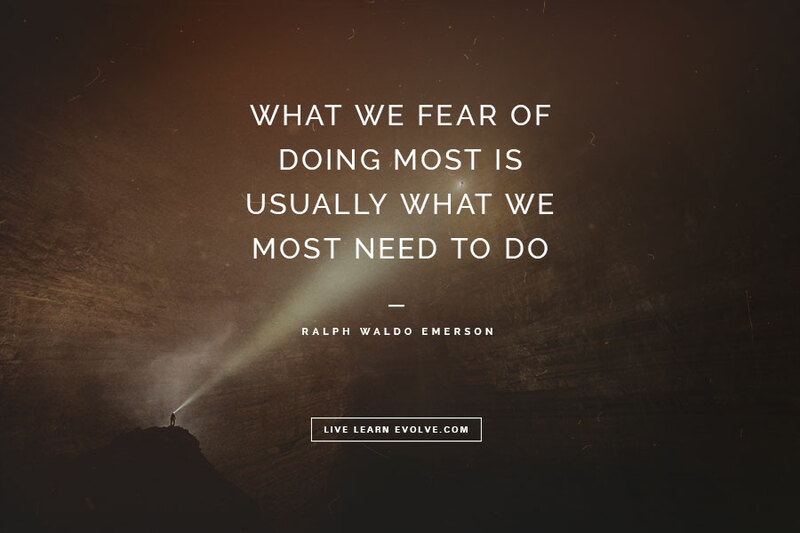 Are there any other areas where you notice you struggle in focusing on the wrong things? It may be worth praying and asking the Lord to reveal areas where your heart and focus have been in the wrong place. It’s not an easy questions to ask (or an easy answer to hear), but it is worth it. If you feel confusion in any area of your life, consider the source. 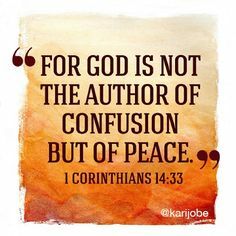 The Bible clearly states that confusion is not from God, and if it's not from God, I know I don't want any part of it. Confusion is defined as “lack of understanding; uncertainty; the state of being bewildered or unclear in one's mind about something.” Go ahead and substitute that definition in the verse and it will read “For God is not the author of a lack of understanding; uncertainty; or the state of being bewildered or unclear in one's mind about something. WHEW!! Isn’t it refreshing to read that truth? Confusion can come from the enemy in many forms, or even from our own flesh. That is why it is so important to stay grounded in God’s Word & in prayer and to GUARD our hearts & minds! When we are seeking the Lord, we will begin to quickly recognize any lies from the enemy, any false teachings that do not line up with the Word of God, and any other worldly messages trying to deter us. Having those truths impressed on our hearts is so important, and that’s why I love memorizing Scripture. Think you don’t have a good memory? I bet you know the words to LOTS of songs! I for one can rap almost every word to Whoop There It Is, some Salt N Peppa songs I’m embarrassed to name, Ice Ice Baby, & The Fresh Prince theme song. (Okay, maybe nobody else was a 90’s kid white girl thug wanna-be like me? Ha!) Really though, my point is, we can absolutely memorize Scripture if we commit ourselves to it and study it enough. If you’re at a cross point in your life or are confused about a decision or direction, my best advice is to STOP. Wait for a clear answer from the Lord before making a move. It may not seem easier on the front end to patiently seek the Lord, but I can assure you it’s a whole lot easier than cleaning up the mess than can result from stepping out of God’s will and making hasty decisions with negative consequences. 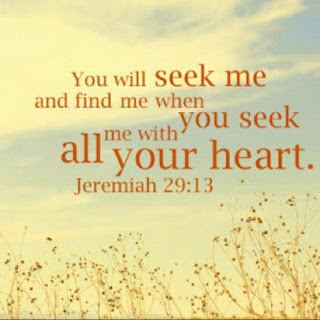 God will always respond when we wholeheartedly seek him. The problem is, many times when he does not respond in our timing or with the answer we want, we choose to either stop seeking or go our own direction. 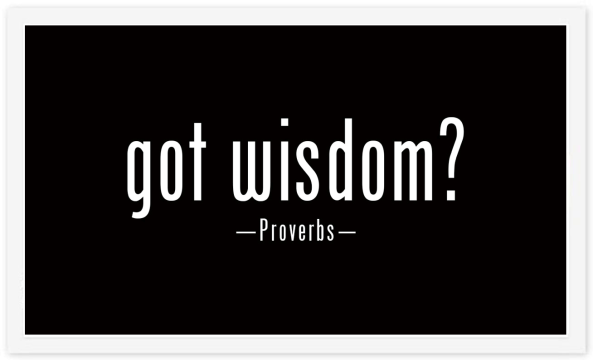 James 1:5 tells us "If any of you lacks wisdom, you should ask God, who gives generously to all without finding fault, and it will be given to you." This is the BEST place to go if you need clarity. Seek the Lord with all your heart, soul, mind, and strength. Study the Word and PRAY. Or even better, pray God’s Word!! I also wanted to share a resource I have found for Christians regarding apologetics. I If you have questions about what you believe, other religions, false teachings, etc., I have found these teachings to be Biblically sound: www.carm.org Check it out if you get a chance. Last year we started our ‘annual’ visit to the pumpkin patch with the Adams family. Here is the post from last year….can’t believe how much our boys have changed! This year we went on a Thursday again so it wasn’t too crowded. It’s crazy to think of all the changes that have occurred for our family throughout this past year. What a wonderfully BLESSED year! Last year they could barely sit up, and this year they were running all over the pumpkin farm! Jase was more interested in the wood chips and trees than the pumpkins. Love these precious boys!! They are so FUNNY & keep us laughing. There is something special about a mama & her baby boy. I can assure you one thing- these two little fellas have been prayed over a LOT by their mamas. The boys both LOVED the tractor. Jase thought it was hilarious to put his head through the pumpkin hole. The white washed pumpkins were my fave. Jase loved to throw that baby pumpkin as far as he could. He’s got a little arm on him! Of course the boys were totally still and cooperative when their daddy’s were holding them. “Every blond needs a brunette best friend.” That applies to boys too, right? We had a blast!! Love Brian, Laura, & Braylon and so thankful for awesome friends & fun traditions with our little fellas. I can’t imagine how different next year will be!